The "big plan" supposedly entered the active phase last week. The National Anti-Corruption Bureau is convinced that a "big plan" is being implemented aimed at the destruction of the NABU and the Specialized Anti-corruption Prosecutor's Office. In a statement on Thursday, 7 December, NABU stated concerns over the registration in parliament of a bill that gives MPs the right to dismiss the director of the bureau without an audit. "This bill, if adopted, will deal a crushing blow to the independence of the new anti-corruption bodies and the achievements in the fight against corruption that they have managed to achieve despite the systemic resistance of the ruling elites," the statement reads. "We are convinced that these steps are part of a larger plan that entered the active phase last week, the main goal of which is to destroy the NABU and SAP, blocking investigations of top officials and will lead to the release of the top corrupt officials from responsibility." 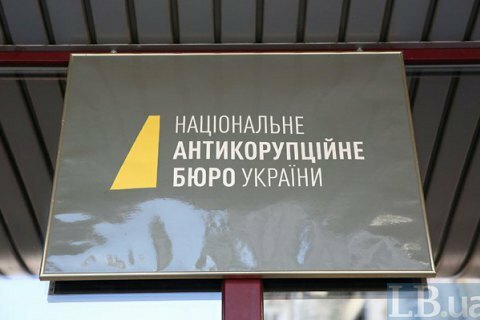 The NABU asks people's deputies instead of passing this law to direct efforts to the speediest establishment of an independent anti-corruption court and the provision of a bureau of the right to autonomous wiretapping. On Wednesday, a bill on the dismissal of the director of the NABU without an audit was hastily put on the parliament's Thursday agenda but later disappeared. MP Artur Herasymov, a co-sponsor of the bill, the chair of the BPP faction it was done to give other lawmakers time to develop alternative bills.